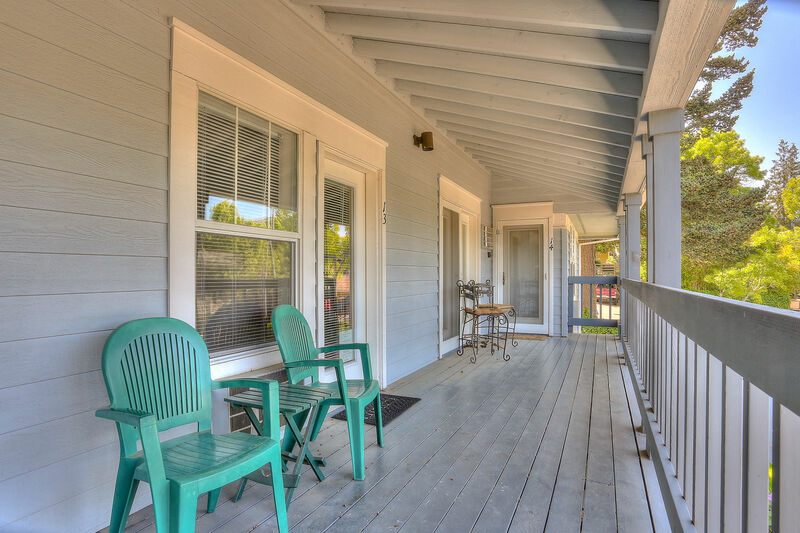 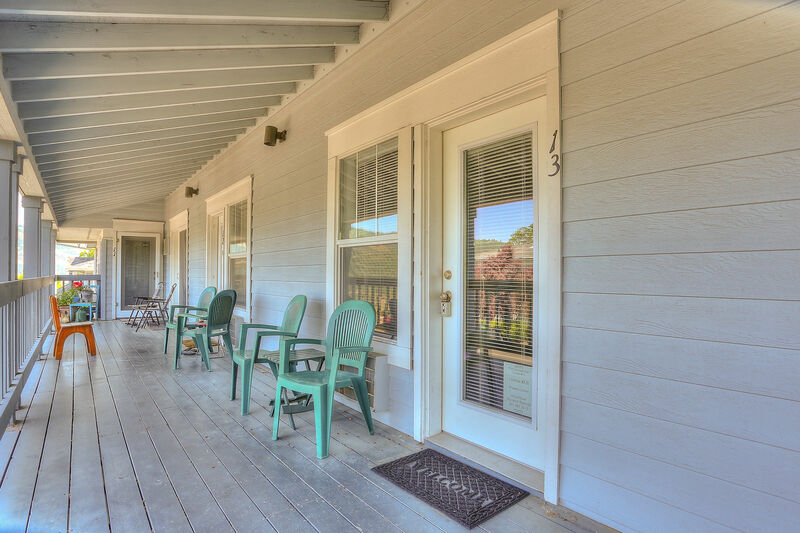 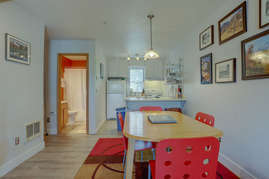 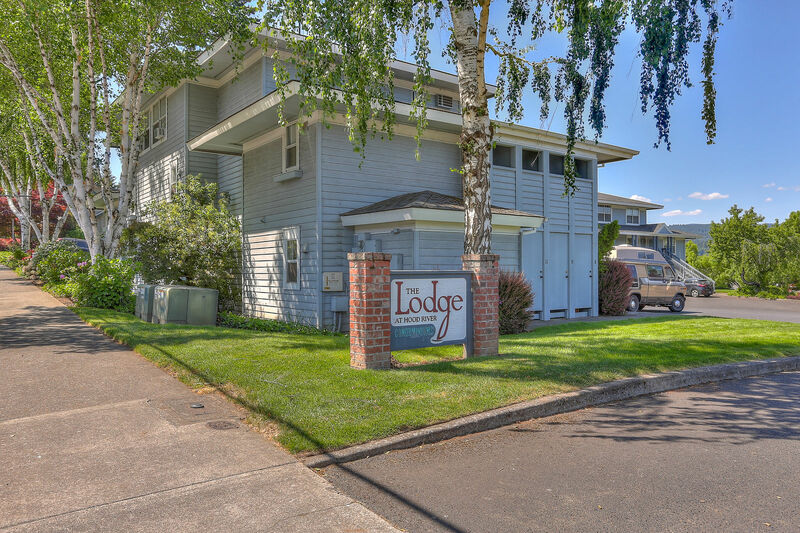 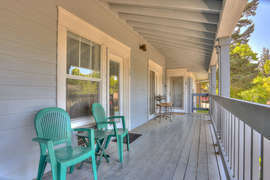 Two bedroom, two bath Lodge Condo just a quick stroll to downtown restaurants and shops! 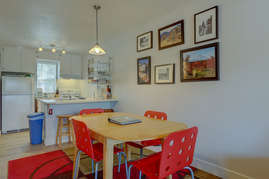 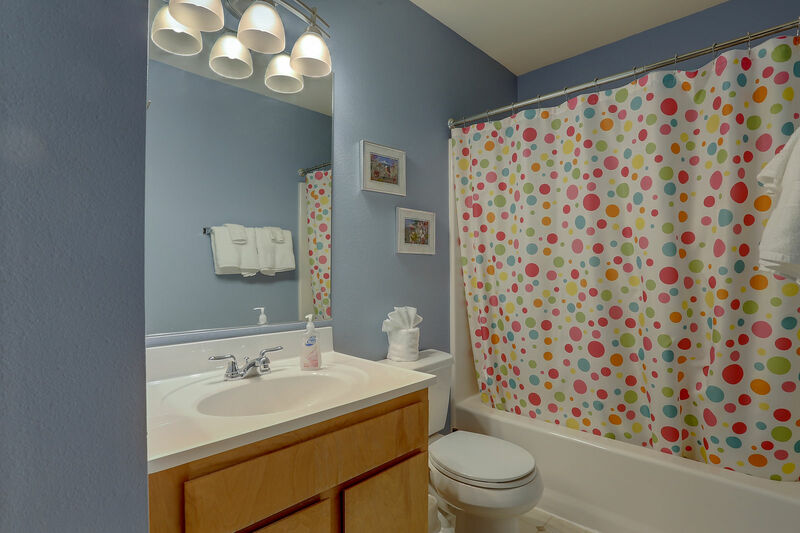 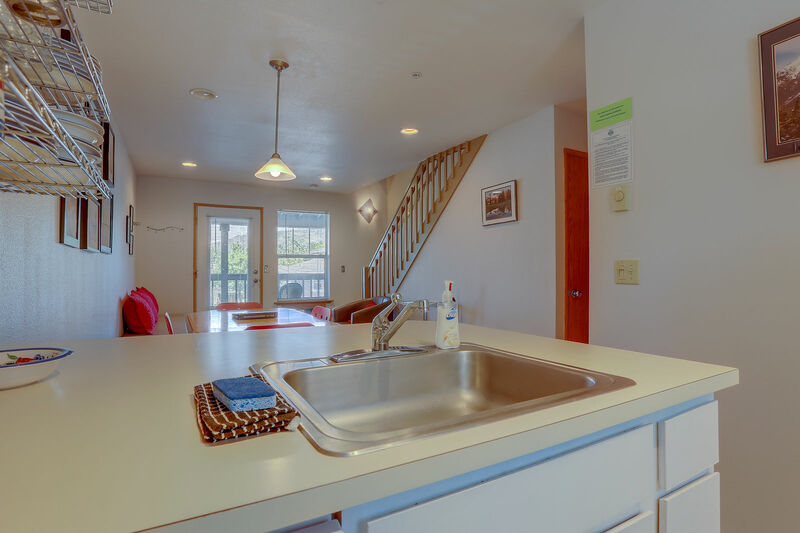 Featuring a large dining area and fully stocked kitchen, this sweet spot is great for dining in or out! 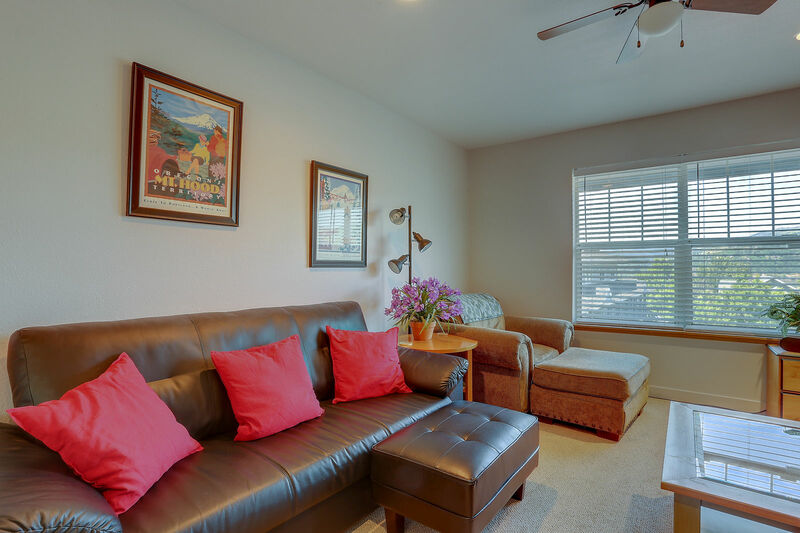 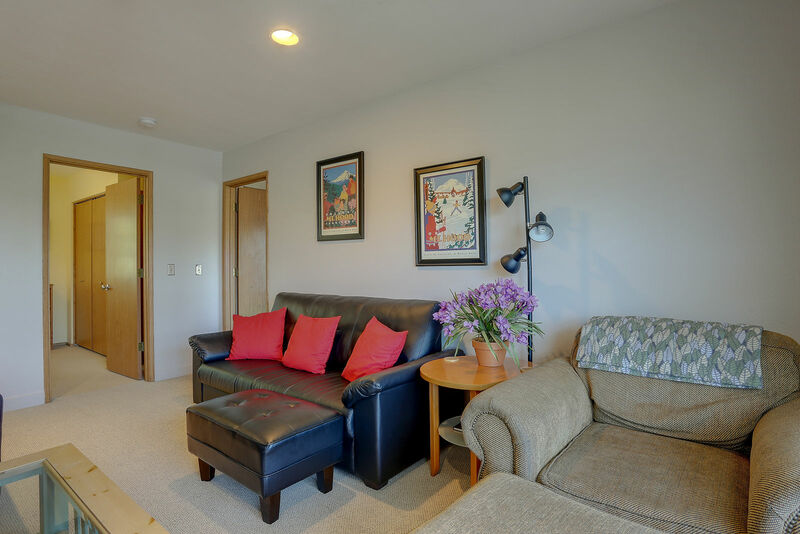 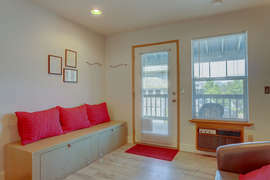 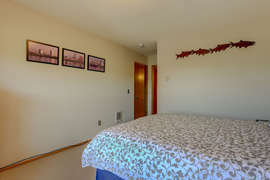 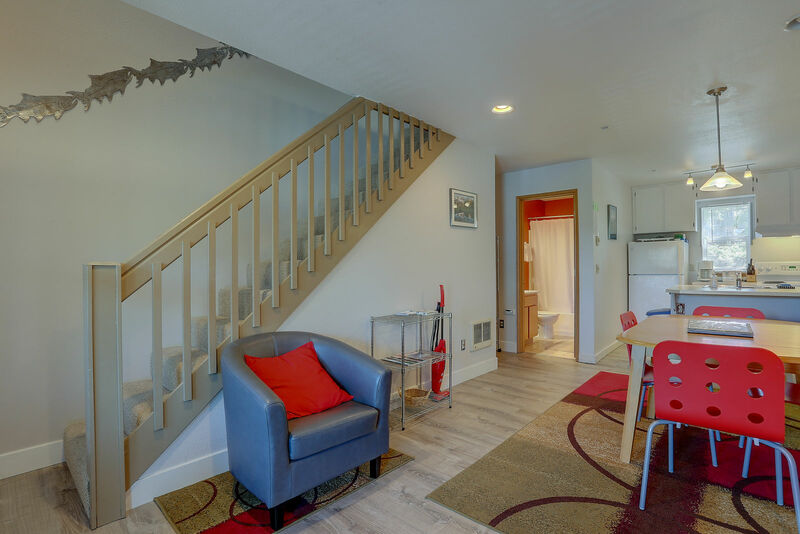 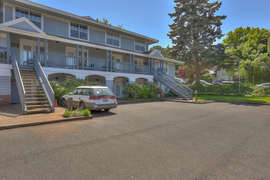 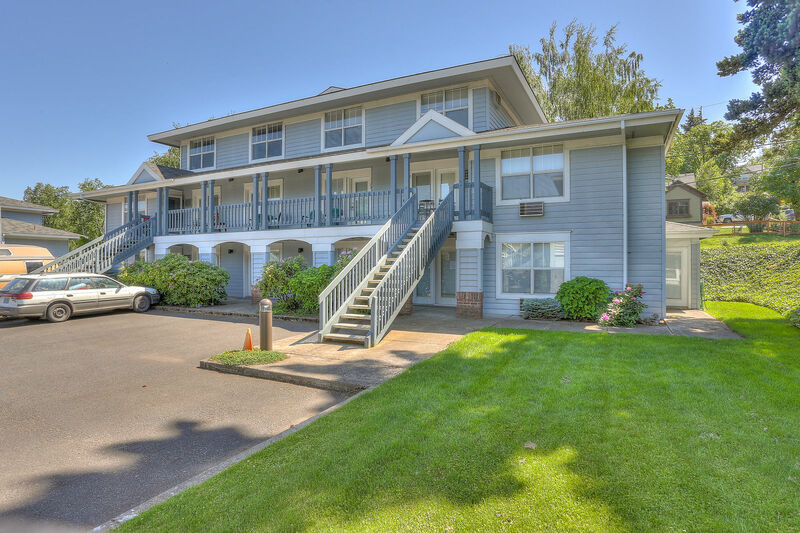 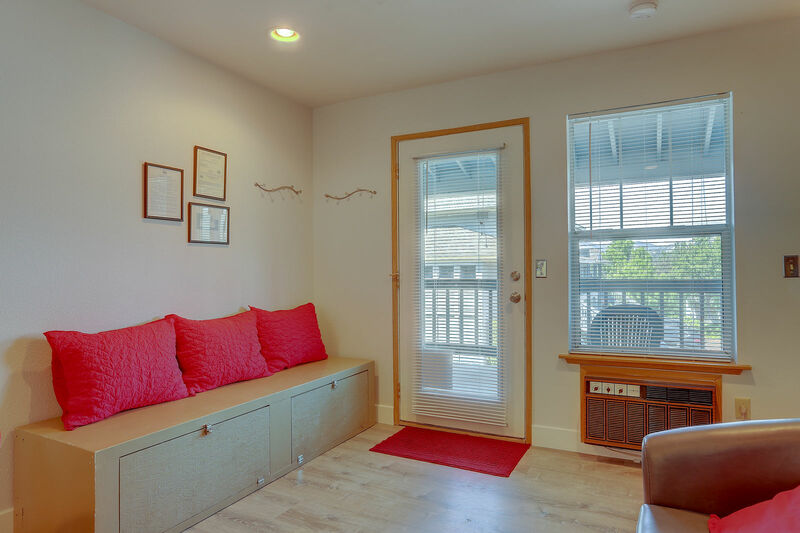 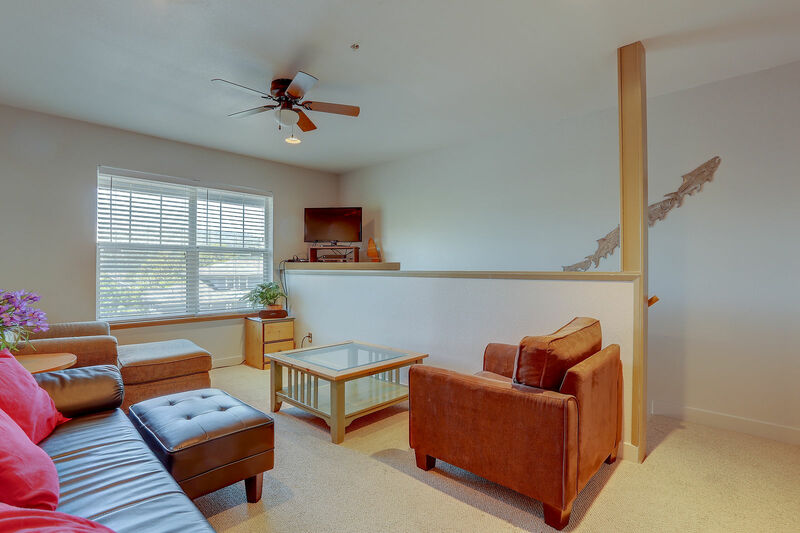 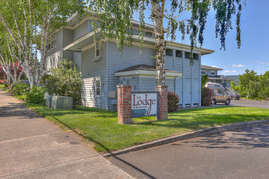 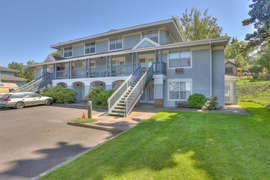 A comfy upstairs living room overlooks the popular KiteBeach and Columbia River. 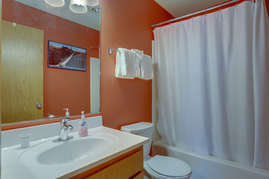 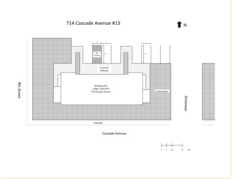 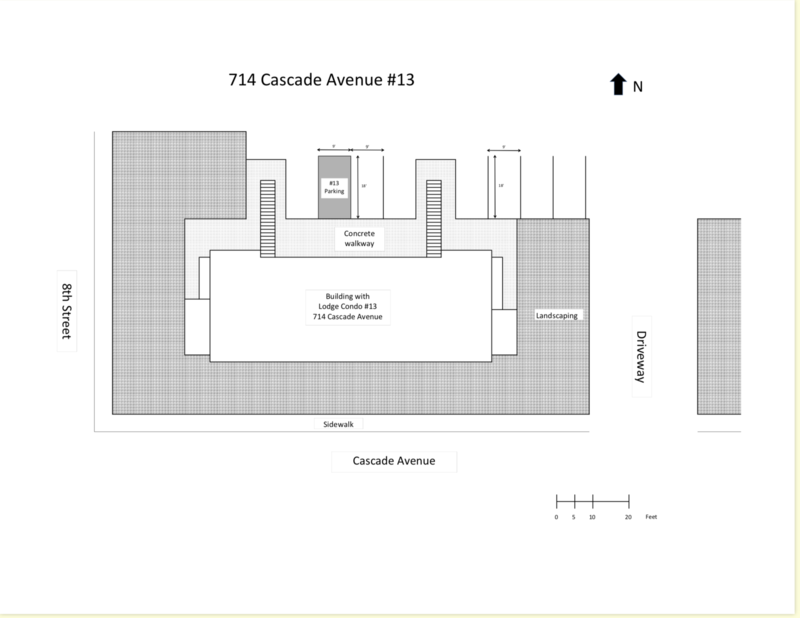 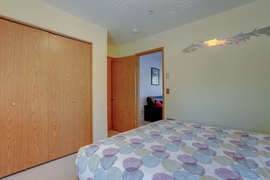 On the upper floor are where the 2 bedrooms are located along with 1 full bathroom. 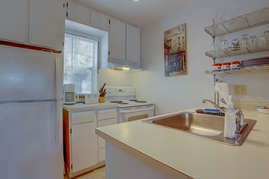 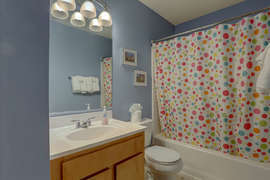 The kitchen and dining area are on the floor you enter into as well as a full bathroom. 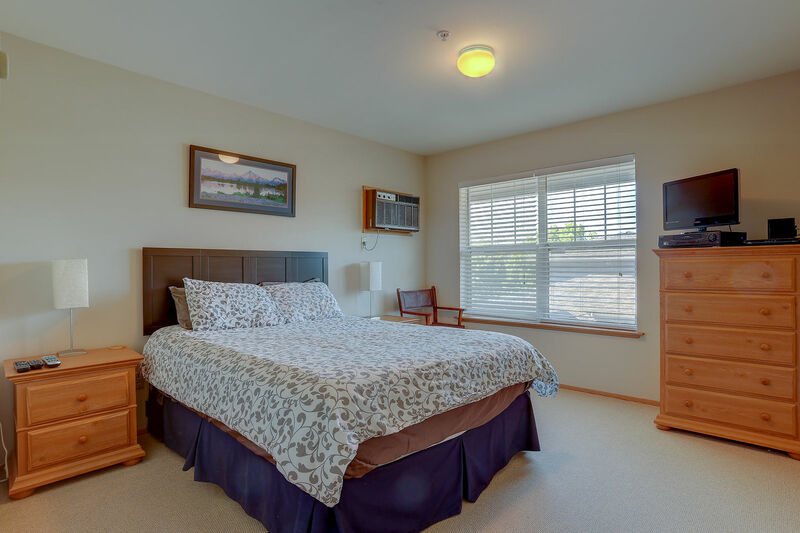 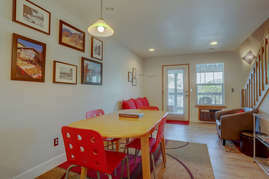 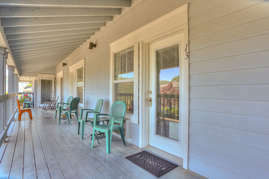 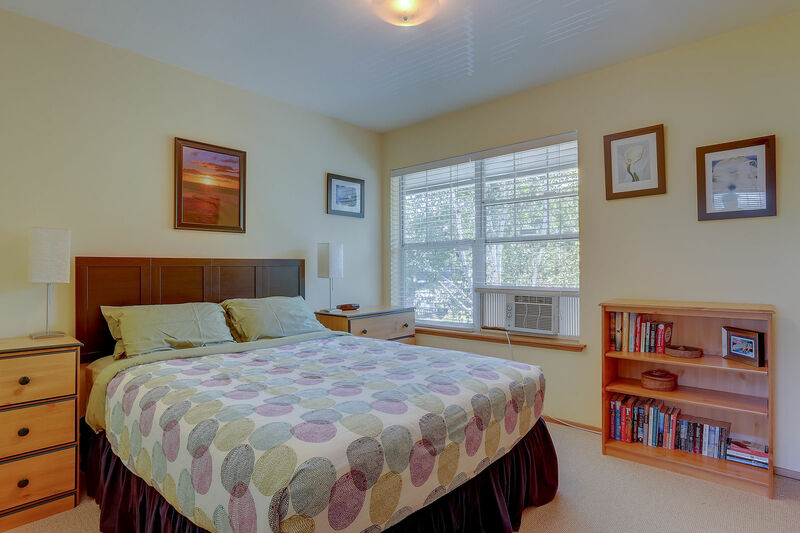 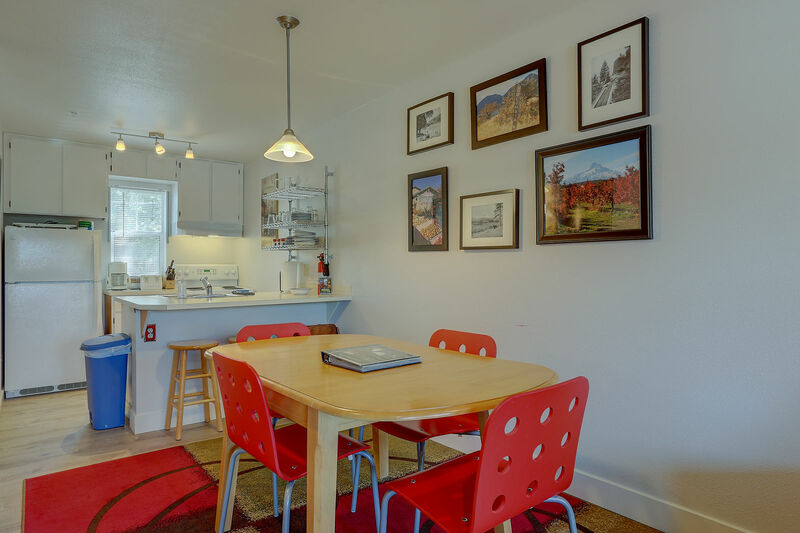 Minutes to golfing, kiting, biking, kids parks and/or brewpubs! 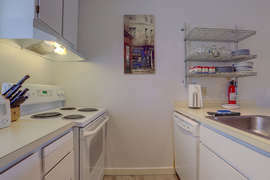 air conditioner, plus one window air conditioner in the kitchen and dining area.